Cars have been adding to the pollution in our environment since their invention. In recent years, many consumers have shown a concern for this environmental hazard. Car manufacturers have responded to this concern with the electric car. The electric car runs on an electric motor, which is powered by a rechargeable battery, or an alternative form of energy storage. This is a breakthrough in the automobile world, and it makes the use of gasoline unnecessary when it comes to operating your car. The team at Drivers-Licenses.org knows that the rise of the electric car has been picking up steam, and there are numerous reasons why this vehicle is gaining popularity. With the cost of gas always on the rise, the electric car seems like the way to go. Gas can become a hefty monthly expense, and you would be shocked to know what you pay at the pump every year. You can even find some electric cars that are cheaper than mainstream gas-guzzling vehicles. An added incentive is a federal tax rebate, which makes the cost of this vehicle even lower. The battery power is also getting stronger, which means you can driver farther on its charge. Most consumers are looking to save time and money, and the electric car can deliver on both fronts. When electric cars first hit the market, they left much to be desired. Battery costs have never been cheap, but the future seems promising. 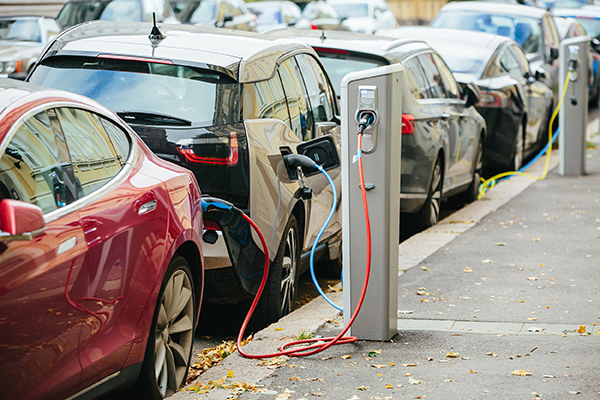 The cost of the battery needed to charge the car is predicted to drop significantly over the coming years, and this is good news if you were looking to invest in one of these environmentally-friendly, innovative vehicles. Industry leaders believe that this dramatic drop in battery cost will have the electric car becoming much more popular within the general market. The experts at Drivers-Licenses.org believe that the future of electric cars is very bright, and competitively-priced. Electric cars cannot run without a battery charge. In the beginning stages of this vehicle, many consumers were worried they could not find a charging station in time to recharge their batteries. This could leave you stranded, and it caused the car to receive some backlash for the lack of dependability. No one wants to have to worry about running low on battery power without a charging station in sight. Luckily, the amount of charging stations continues to increase, and they can now be found at schools, workplaces, housing complexes, stores and gas stations. Many major companies are contributing to this need for charging stations. Company giants such as Coca-Cola and Walgreens are installing charging stations to encourage consumers to invest in eco-friendly vehicles. The experts at Drivers-Licenses.org predict you will see a rise of these charging stations in your neighborhood over the next few years. The increase in popularity of the electric car will only continue with the emergence of more charging stations nationwide.